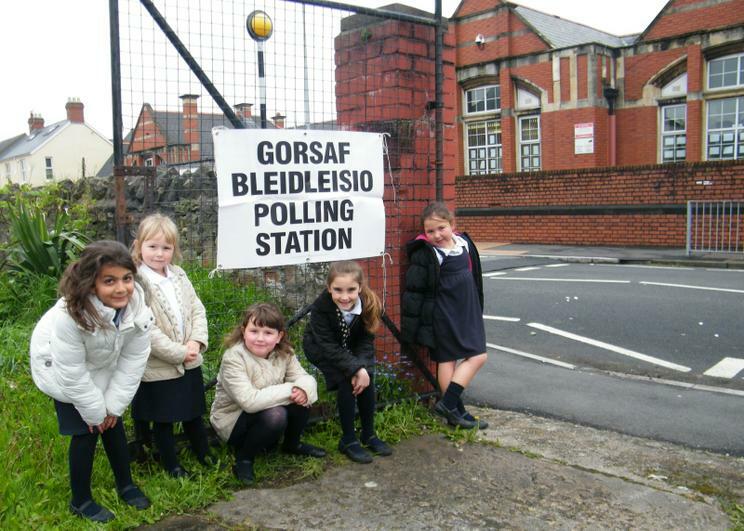 Polling day is a great opportunity for schools across the country to try and explain to children the importance of voting and the wider issues of governance. 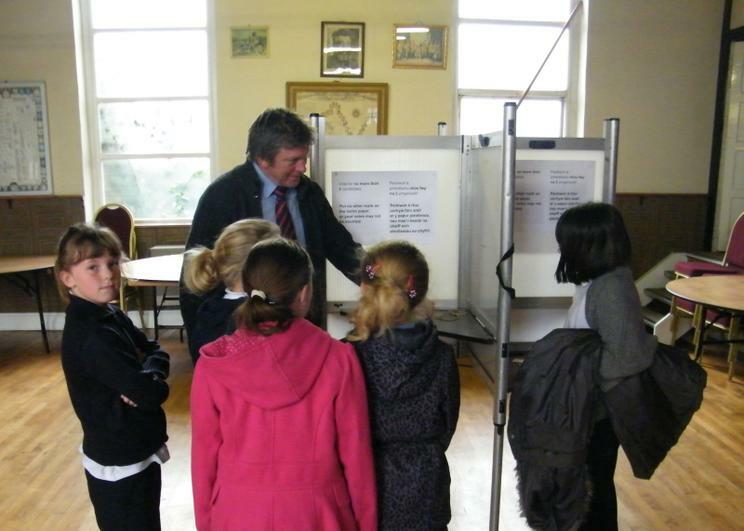 We visited the polling station across the road on Thursday 3rd May as the country went to vote in the local elections. 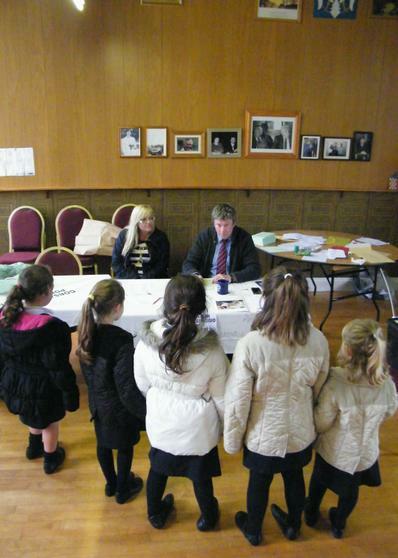 Mike and Rhiannon were the presiding officers and there job was to make sure that people voted fairly. 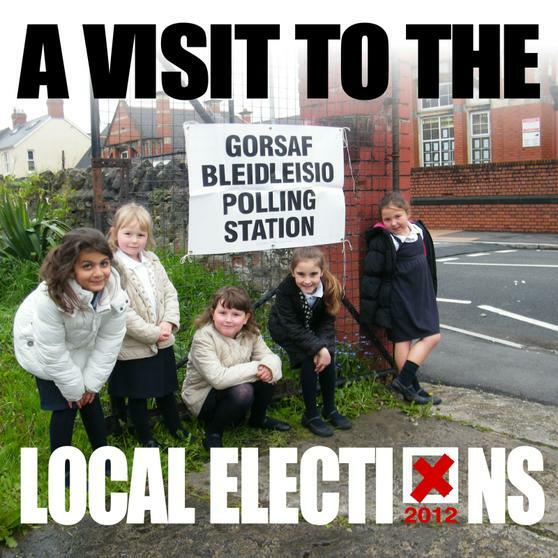 Because there was no one there to disturb they kindly gave us a tour and told us all about how to vote. 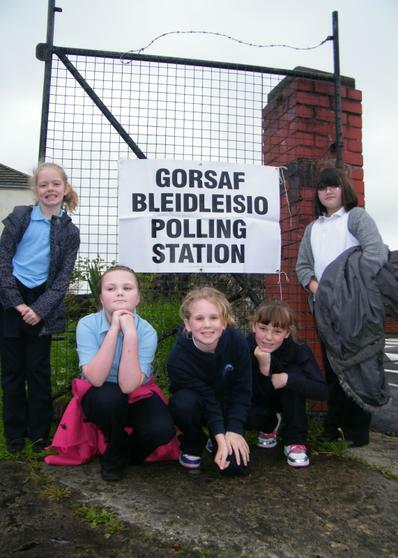 They would be there until 10pm at which time the Polling station would close the ballot box sealed and get taken up to the Western leisure centre to join others and be counted. 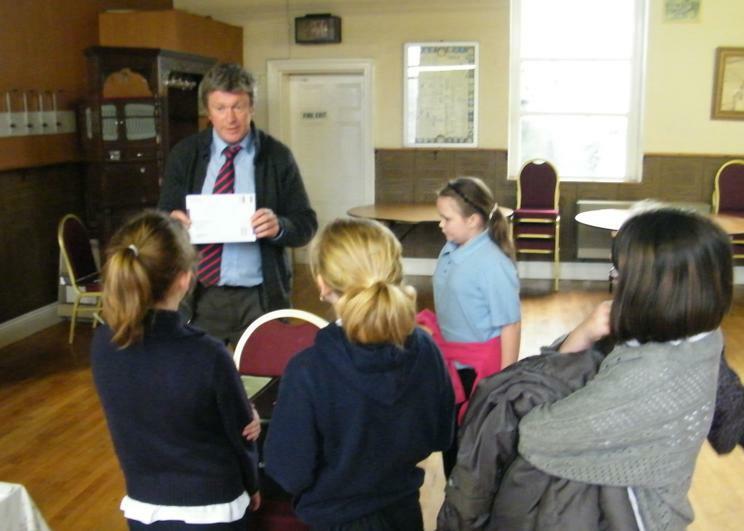 Mike told us about Postal Votes and voting by Proxy, it really is so easy. 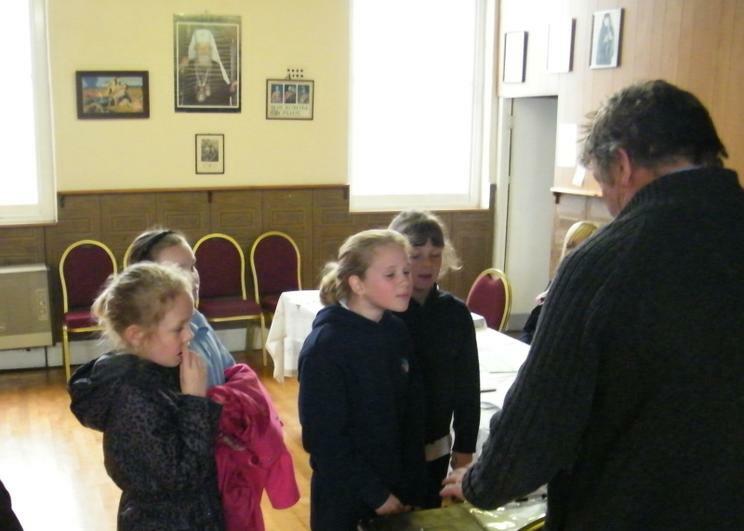 He also showed us the ramps and various aids for disabled people to vote. 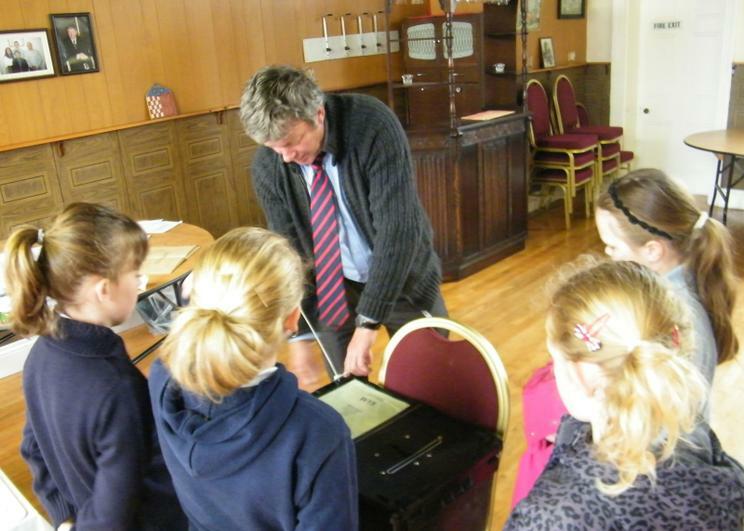 They had magnifying glasses and a special braille voting aid which we liked too, it shows the lengths that have been gone to to ensure that everyone can vote. 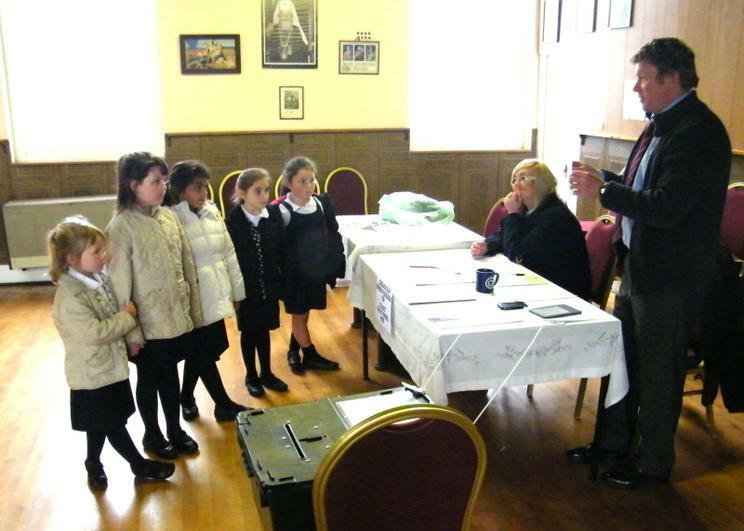 In some countries it is a legal requirement to vote in elections. 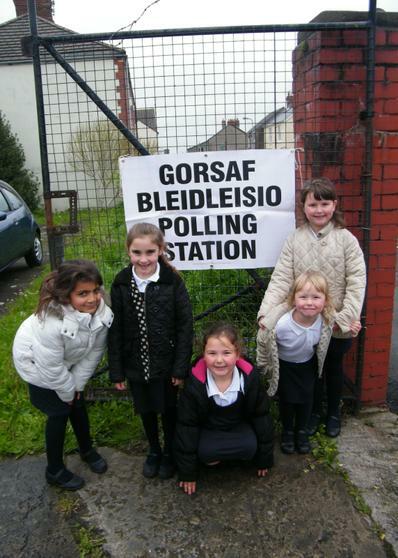 But sadly some of these children have been in more polling stations than some adults. 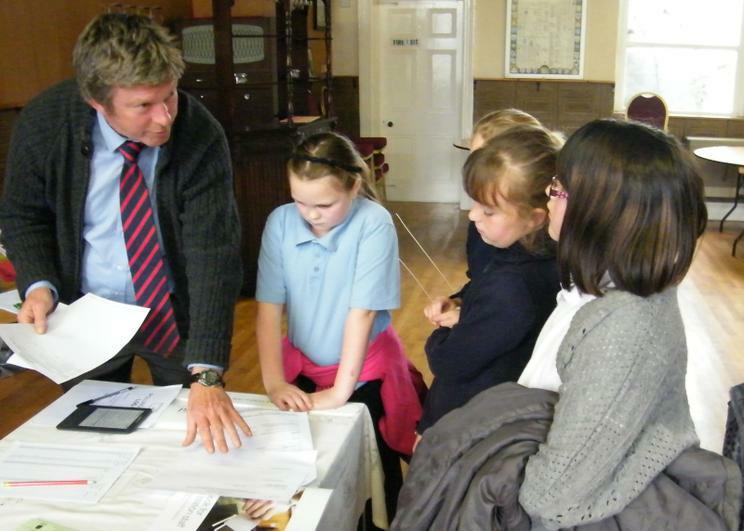 There are lots of different types of elections that adults can vote in. 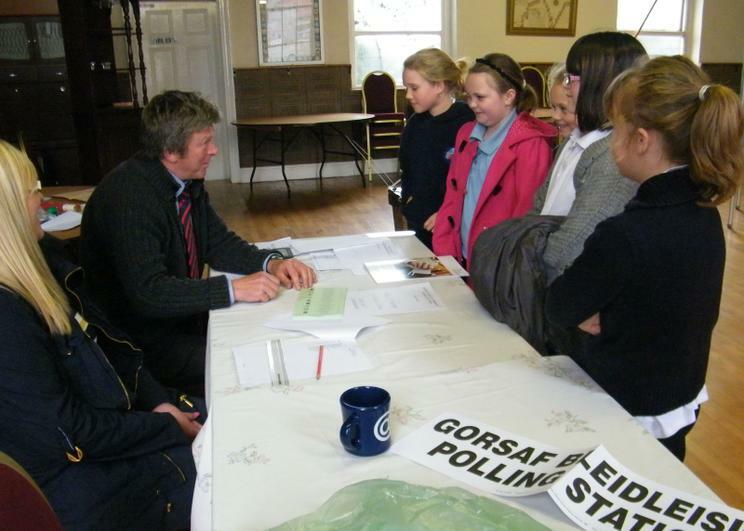 Last year we visited the polling station for the elections for the National Assembly for Wales an AM(Assembly member) who then controls the Welsh Government. 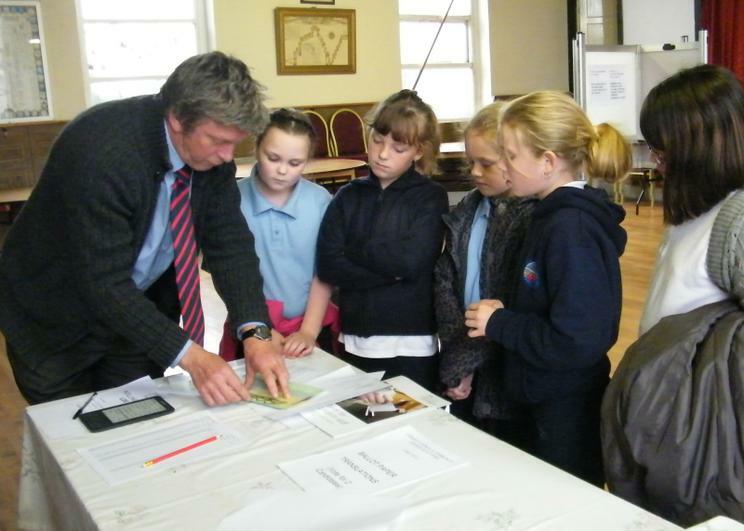 European elections to elect an MEP(Member of the European Parliament). 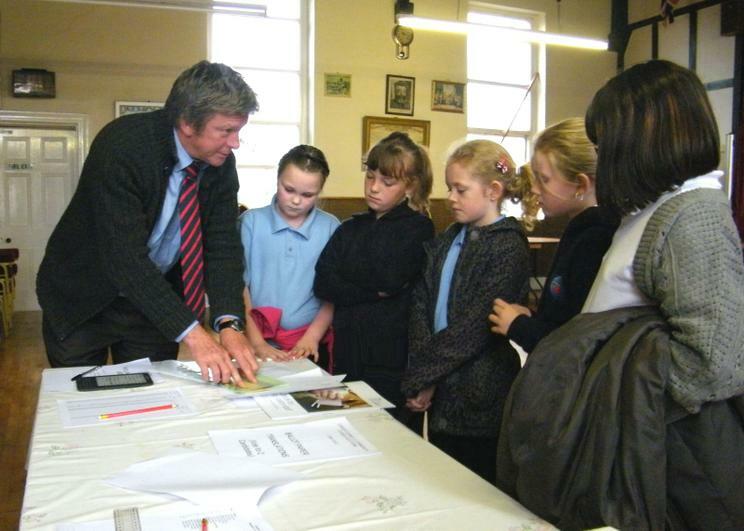 Then elections for our MP (Member of Parliament) in Westminster. The idea is the same in any election in that you choose the person that you think will best represent your views and work for you. 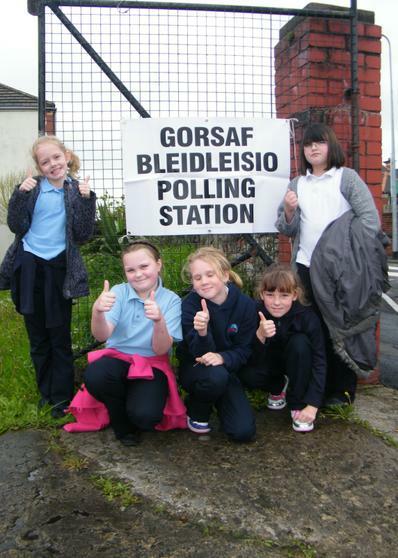 Often people just vote for a political party or even because of a the party leader. 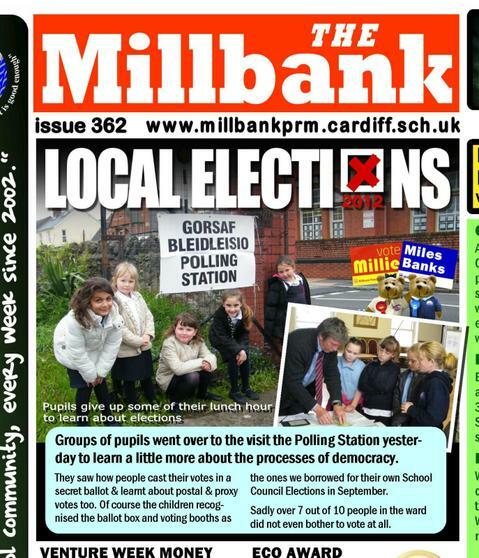 Council elections they often vote based on the national government's performance in Westminster, either way the councillors serve a term of 4 years before they get elected again. 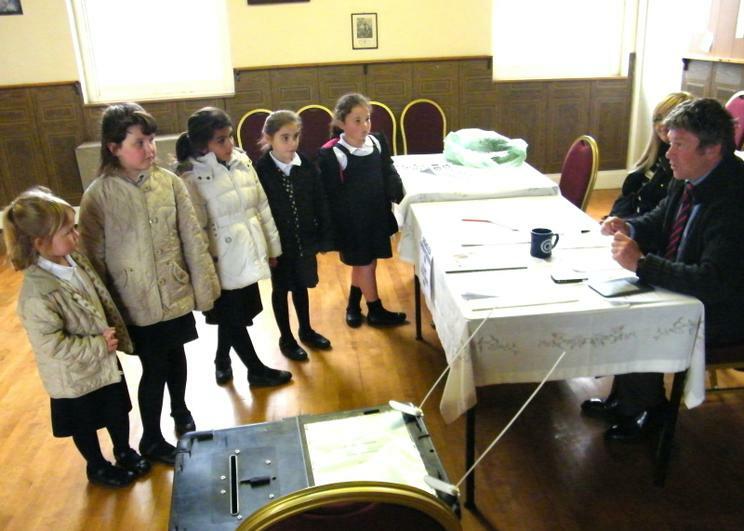 There are no Children's Rights based around election, as children do not vote in these elections but it is Human Right to participate in Free Secret Elections. 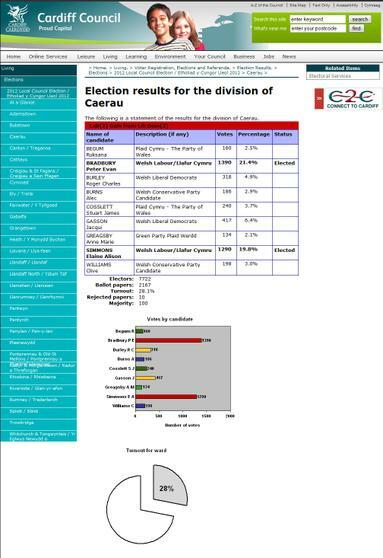 You can find out more about the Election Results in Cardiff here.